1974’s Volume Two was the aptly-titled follow-up to Don Williams’ solo debut album on the independent JMI label. Though it doesn’t it contain any of his best remembered songs, it does feature his first Top 10 hit. The track listing is stellar; consisting primarily of songs written by Bob McDill, Allen Reynolds, and Williams himself. Produced by Allen Reynolds, the album consists of sparsely produced, laid-back songs that are a fry cry from the lush production usually used for country records in the early 70s. Williams’ original composition, the gentle ballad “Atta Way to Go” was the album’s first single, whose chart performance mirrored those of the singles from Volume One, peaking at #13. I was not previously familiar with it but I took to it immediately. The midtempo “We Should Be Together”, written by Allen Reynolds was the next single. It carried Don into the Top 10 for the first time, peaking at #5. Consisting of acoustic guitar and dobro, it is catchy yet mellow. I’d never heard this one before, either, which is surprising since it was Williams’ first significant hit. The third single, “Down the Road I Go”, another Williams compostion, is the closest this album gets to something up-tempo. It’s a pleasant tune, with some nice fiddle and steel work, as well as a vocal chorus that aligns it a little more closely with the mainstream of the day, but it fared poorly on the charts, topping out at #62. From this point forward, though, all of Williams’ records for the next decade would crack the Top 10. The great Bob McDill contributed two other tracks: the album opener “I Wish I Was In Nashville” and “She’s In Love With a Rodeo Man”. The former is about an aspiring musician who has dreams of making it big in Music City; the latter is about a honky tonk angel who attracts plenty of suitors but only has eyes for a particular rodeo rider. There is an excellent steel guitar solo on this track. The outlier on the album is the ballad “I Don’t Think Much About Her No More”, which features a subtle string section alone with the acoustic guitar and pedal steel. Originally recorded by its author Micky Newbury in 1969, it was covered many times, sometimes under its alternate title “Poison Red Berries” by artists such as Eddy Arnold, George Hamiton IV, Bobby Bare, The Carter Family, Jan Howard, and Tammy Wynette. It’s more polished than the rest of the album but still the perfect vehicle for Williams’ baritone. Although it doesn’t contain any of Williams’ best remembered hits, Volume Two is an excellent collection that has aged well and is worth a listen. It is available on a two-for-one CD along with Volume One. Thirty years ago, Dolly Parton, Emmylou Harris and Linda Ronstadt finally cleared their schedules and went into the studio to record the album they had talked about making for years. Released in March 1987, Trio was an immediate critical and commercial success, selling more than four million copies and winning two Grammy Awards. A follow-up album was released in 1999. The ladies reportedly would have liked to have recorded a third volume, but sadly Parkinson’s disease has rendered Ronstadt unable to sing. There was however, enough unreleased material from the first two albums to piece together a third collection. It consists of songs that were not used for the first two projects, as well as alternate takes and mixes of some of the songs that were used. These alternate takes/mixes sometimes differ radically from the previously released versions and at other times the changes are more subtle. The Complete Trio Collection, released last week via Rhino Records is a three disc set consisting of remastered versions of the first two albums and a third disc of mostly previously unreleased material. Presumably most of our readers are familiar with Trio and Trio II, so I will focus on the third disc. Despite the title, this is not a complete collection of the recordings Parton, Harris and Ronstadt made together. Noticeably absent is “Palms of Victory”, which was included in Emmylou’s 2007 Songbird collection and I assume that are other commissions. “Palms of Victory” was recorded in 1978 during one of the ladies’ earlier recording sessions from which no album was ever released. Two tracks from those sessions – “Mr. Sandman” and “Even Cowgirls Get The Blues” were released on Emmylou’s solo albums in the early 80s. Parton’s and Ronstadt’s vocals were removed from the single version of “Mr. Sandman”, since they were signed to different labels at the time. Also labeled as unreleased is “Softly and Tenderly”, one of my favorite hymns. This track too was included in the Songbird collection. It concludes with a majestic vocal performance by Ronstadt and is well worth hearing again. Dolly’s “Wildflowers” was a single released from the original album that reached #6 in the spring of 1988. It was a semi-biographical number on which she sang lead, with Emmylou and Linda providing the harmony vocals. The alternate take provided here has a completely different arrangement, with each of the ladies taking a turn singing the lead. The overall effect is more in the vein of “Palms of Victory” and the music that Emmylou made with Brian Ahern in the 70s. It’s quite different from the version we’re all familiar with but I liked it quite a lot. “Do I Ever Cross Your Mind” is another Dolly composition that she has revisited many times over her career. An Emmylou-led version appeared on Trio II, but the alternate version has Dolly singing the lead. It is also faster paced with a lot of handclaps. Quite different from the previous version but it works equally well. “Making Plans” was one of the last hits that Dolly had enjoyed with Porter Wagoner. A three-part harmony version appeared on the first Trio collection. The newly released version features Dolly singing solo. It’s a beautiful performance and for a song about being alone, a single voice is quite effective. “My Dear Companion” is given a similar treatment — omitting Dolly’s and Linda’s harmony vocals. Although Emmylou does a lovely job singing it, I do miss hearing Dolly and Linda echoing her words on the chorus. “Lover’s Return” from Trio II appears here as a Linda solo. Other tracks such as “I’ve Had Enough” and “Farther Along” are remixed so subtly that many fans might not notice the differences at first. The disc also includes a number of previously unreleased songs that are not alternate takes or remixes – i.e., “new” material. Some of them we’ve heard before in different versions: Dolly’s “My Blue Tears” done in three-part harmony here, Emmylou’s “Waltz Across Texas”, and “Grey Funnel Line” which was previously recorded by Emmylou with Irish singers Mary Black and Dolores Keane. Others are less familiar. Dolly does a beautiful job on Tony Arata’s “Handful of Dust”, although I still prefer Patty Loveless’ more uptempo version. “You Don’t Knock” is a wonderful uptempo Gospel number, and “Are You Tired of Me” is a Carter Family classic from 1927. Dolly’s original composition “Pleasant as May” was written and recorded during the 1986 sessions but sounds like something that could have come from the Carter Family era. Rhino Records enjoys a well deserved reputation for the way it handles reissues of classic material, and for that reason I decided to purchase the physical CD set instead of downloading from iTunes as I usually buy music nowadays. I must say that I’m a bit disappointed in the packaging. I hate digipaks and was hoping for a more deluxe package similar to Songbird, but given the economic realities in the music industry today, the decision to go with cheaper packaging is understandable. That is really my sole complaint about the collection. It may be overkill for casual fans but for diehards like me, this collection is a real treat. Twelve years after winning a Best Country Album Grammy, Loretta Lynn has finally gotten around to releasing a follow-up album. Not only is Full Circle well worth the wait, it is bound to be warmly received by fans who were disappointed in the genre-bending Van Lear Rose. Produced by Lynn’s daughter Patsy Lynn Russell and John Carter Cash, Full Circle finds Lynn singing traditional folk songs she grew up with, remakes of her own hits and some new songs, with the occasional traditional pop standard thrown in. She moves through the somewhat eclectic track list effortlessly and seamlessly, sounding equally at home with each musical style represented. I was blown away by Lynn’s vocals, which are showing no sign of diminishing with age. Her voice is stronger now than it was on Van Lear Rose and she could easily hold her own vocalists less than half her age. After some introductory studio banter the album gets underway with a remake of “Whispering Sea”, which is the first song that Loretta ever wrote, and was included as the B-side of her first single “I’m A Honky Tonk Girl”. It’s the first of three remakes of old Lynn hits; the other two are 1965’s “Everybody Wants To Go To Heaven” and 1968’s “Fist City”, which even at age 83, Loretta pulls off with gusto and credibility. A pair of traditional pop standards are a little unexpected on a Loretta Lynn album, but they fit in surprisingly well with the rest of the album. “Secret Love”, first introduced by Doris Day in 1953, gives Loretta a chance to demonstrate that she hasn’t lost any vocal range. It has a simple yet sophisticated twin-fiddle arrangement, and is reminiscent of the Nashville Sound records that her old producer Owen Bradley used to make with Patsy Cline. Ditto for “Band of Gold”, a pop hit from 1955. Don Cherry’s doo-wap style is replaced with Bob Wills-type of arrangement with some excellent steel guitar. She also covers some more contemporary numbers, including Willie Nelson’s “Always on My Mind” and T. Graham Brown’s “Wine into Water.” Elvis Costello provides some subtle harmony vocals on the toe-tapper “Everything It Takes” a new track that Lynn wrote with Todd Snider. It’s reminiscent of the type of record Loretta made in her heyday, although the message is delivered in a less fiery and more world-weary manner. It’s my favorite song on the album. She also duets with Willie Nelson on “Lay Me Down”, a quiet acoustic number that finds the two legends looking with resignation and acceptance toward an uncertain future. Loretta looks back at songs from her childhood: the traditional “In The Pines” and The Carter Family’s “Black Jack David” and “I Never Will Marry”. I wouldn’t have minded an entire album of tunes like this. Her own composition, a new song called “Who’s Gonna Miss Me?” has a similar old-timey sound. It finds her looking back on her accomplishments, reflecting on her legacy and asking, “Who’s gonna miss me when I’m gone?” The answer to that, of course, is everybody. It is hard to imagine country music without Loretta Lynn but fortunately there are no any indications that she will be saying her farewells anytime soon. It’s a bit early in the year to start making predictions about the best album of the year, but it’s hard to imagine how anything will top this one. I cannot recommend it enough. 1 – Until recently, European copyrights on recordings were only good for 50 years. This changed recently to 70 years, but the change was not retroactive. What this means is that all recordings made before 1963 have lost their copyright protection in Europe. 2 – The European customer for country music is more traditionally oriented than American audiences. This holds true for many forms of music including rockabilly, rock & roll, rhythm & blues, pop standards, you name it. European audiences, unlike their American counterparts, have not discarded the past. 3 – American Record labels simply don’t care – I’d elaborate, but there’s no point to it. It should be noted that some of these albums may have been issued before 2015 but became generally available during 2015 through various markets. Released in late 2014, but not generally available until this year, this Bear Family five disc set compiles the gospel recordings of Dad Carter’s family gospel group. Marty Stuart wrote the forward to the accompanying book. This Carter Family is NOT related to the Carter Family clan associated with A.P., Sara, Mother Maybelle, and June Carter, but was a successful gospel group that was with Columbia Records from 1936 to 1975, selling thirty-nine million records in the process. Consisting of D.P. (Dad) Carter and son Jim (Ernest) and daughters Rose (Lola) and Anna (Effie), this group was formed in 1935 in Lubbock, Texas, and became one of the most popular gospel groups of its time, performing a very traditional form of country gospel music. They were the first group to record Albert Brumley’s “I’ll Fly Away”. The group continues to this day, although all of the original members have since passed away. This set won’t be to everyone’s taste in gospel music so I’d suggest that you listen to a few tracks before purchasing the set. The humble sincerity and beauty of the singing will likely have you reconsidering your idea of gospel music. Also released in late 2014, this nine disc set chronicles the recording career of one of the brightest stars of the Louisiana Hayride, whose life was cut short in 1960 when he was killed in an automobile accident. Some may recall that Johnny Cash was one of his best friends and some may remember that his widow was also the widow of Hank Williams Sr.
To the extent that Johnny Horton is remembered today, it is for the recordings he made with Columbia Records starting in 1956 with “Honky Tonk Man” and “I’m A One Woman Man”, songs thirty years later covered for hits later by Dwight Yoakam and George Jones. Johnny’s biggest hit was “The Battle of New Orleans” which reached #1 on both the pop (six weeks) and country charts (ten weeks)in 1959. He had two other #1 records in “When It’s Springtime In Alaska” (1959) and “North to Alaska” released ten days after his death. Those great Columbia Recordings are all here, but Johnny was an active recording artist from 1952 forward, recording with Abbott Records and Mercury Records, as well as some smaller labels. The Abbott Recordings were pretty pedestrian but Johnny cut some real treasures for Mercury, some of which were regional hits. Those long-lost earlier recordings are here as well, sounding as good as they will ever sound. These recordings encompass Johnny singing straight country , western, rockabilly and historical saga songs. The set comes with two hardcover books. Regardless of when he actually started wearing black, the legend of the ‘Man In Black’ starts here with this album. By the time Bitter Tears was released, Cash had issued seven albums on Sun Records and eleven studio albums (including a Christmas album) on Columbia. This album, his eighteenth, although not the first album built around a theme, was the first album built around a cause. Released in October 1964, the tracks on the album focus exclusively on the history and plight of Native Americans, with a strong focus the uncaring and unfair treatment of the original peoples of North America. Although the album only contains eight songs, the album itself ran the usual thirty minutes expected of an album during the 1960s. It says much about the stature Cash already had as an artist that Columbia allowed him to release as noncommercial an album as Bitter Tears. The album opens up with “As Long as the Grass Shall Grow”, by Native American Peter La Farge. The song is about the loss of Seneca land in Pennsylvania due to the construction of the Kinzua Dam in the early 1960s. As long as the moon shall rise. 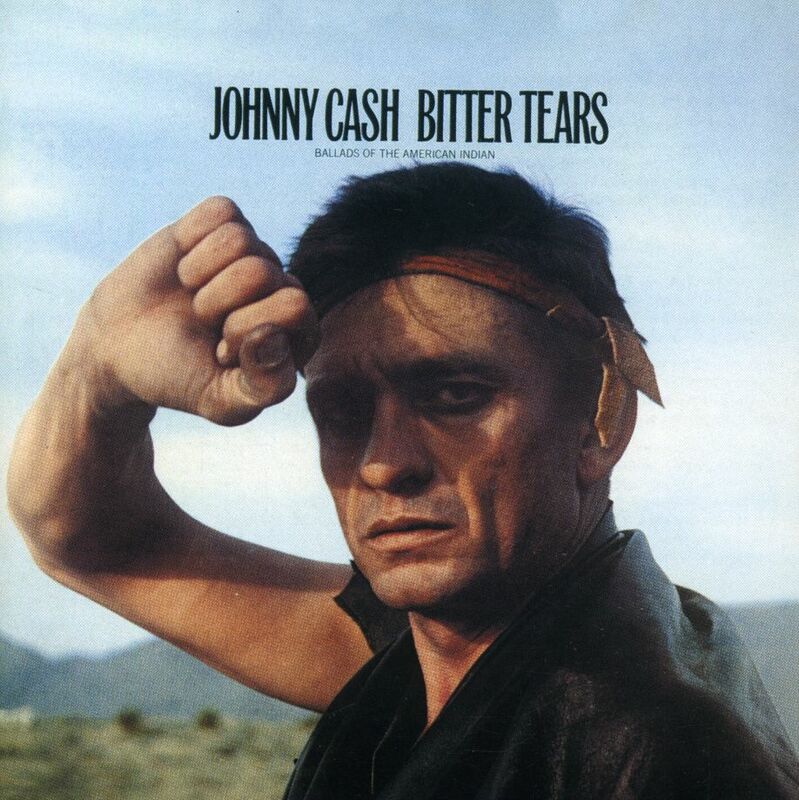 Johnny Cash penned “Apache Tears”, a bitter song about the mistreatment of the Apaches. And the general he don`t ride well any more. My favorite song on the album, “The Talking Leaves” was penned by Johnny Cash and tells the story of Sequoia (or Sequoyah), the Native American who developed written version of the Cherokee language, previously only an oral language. Or the marine that went to war. “White Girl” is a La Farge song about the ill-fated love between a white girl and a Native American man. The girl declined to marry him because he was a Native American. The song also addresses the problems of alcohol among the Native Americans. Bitter Tears reached #2 on Billboard’s country album charts and reached #47 on Bllboard’s all genres album chart. Although Columbia Records didn’t give either the album or single much promotional support, Cash promoted both ceaselessly, and would continue to support Native American causes throughout his life. Although Cash had no Native American blood in him (at one time he thought he might be part Cherokee), in 1966 Cash was adopted by the Seneca Nation’s Turtle Clan. There are no up-tempo songs on this album and, other than “The Talking Leaves”, there are no really happy songs either. Despite that, this is my favorite Johnny Cash album, a thoroughly thoughtful and important endeavor on the part of Johnny Cash and his usual crew of the Carter Family and the Tennessee Three, augmented by ace musicians Norman Blake and Bob Johnson. This album came out fairly early in the year, and yet I was fairly sure it would be the best new album I would hear in 2014. Elegant and insightful would be the terms I would think best describe this album. So timeless are the songs are the songs of Merle Haggard that even marginal talents such as Jason Aldean and Jake Owen couldn’t mess up the songs. If fact I would regard Aldean’s take on “Going Where The Lonely Go” as he best recording he’s ever made. This tribute album is largely composed of modern country artists (Toby Keith, Parmalee, Dustin Lynch, Kristy Lee Cook, Randy Houser, Joe Nichols, Jake Owen, Jason Aldean and James Wesley) with Merle’s son Ben thrown in for good measure and Garth Brooks on the physical CD available at Walmart. The two tracks by Thompson Square (“You Take Me For Granted”, “Let’s Chase Each Other Around The Room”) are given a playful reading and are my favorite tracks, but every artist keeps the spirit of the Hag alive with these songs. The follow-up to Cheater’s Game dishes up another nice serving of real country music with more focus on newer material but with some covers including a nice take on the Statler Brothers classic “I’ll Go To My Grave Loving You” . An instant classic, this album is almost a theatre piece with various stellar musicians cast in the roles of the members of the classic Flatt & Scruggs lineup of the 1950s and 1960s, doing a program of classic Flatt & Scruggs material. Starring Jerry Douglas on dobro, Barry Bales on bass, Shawn Camp on acoustic guitar and vocals, Johnny Warren – fiddle, Tim O’Brien – mandolin, & Charlie Cushman – banjo and guitar. Johnny Warren is the song of longtime F&S fiddler Paul Warren. Carlene Carter pays tribute to her musical heritage with a classic collection of Carter Family tunes plus a pair of original compositions. These recording have a modern sound that differs from, but is true to, the spirit of the originals. I wanted to call this the best album of 2014 and if Ray had been in top vocal form I would have, but this is the swan song of a dying man who knows the end is but months away. The album is elegant and heartfelt, in many respects a valentine to his wife of many years. For as popular as Conway Twitty was during his heyday (think George Strait), he has been almost entirely forgotten. A tribute to Conway Twitty is long overdue and while I think a multi-artist album would be nice, if it has to be a single artist tribute album, there is no one better to do it than Jeff Bates, whose voice can sound eerily similar to that of Conway Twitty. The album is about half Conway Twitty songs and half new material including the title track. My favorite tracks are the title track, “Lost In The Feeling” and Jeff’s duet with Loretta Lynn on “After The fire Is Gone” . Mandy is a masterful singer, if somewhat addicted to slow songs. Don Gibson was a top-drawer song writer, as well as a soulful performer. This album, initially available as a Cracker Barrel exclusive is proof that when you pair great songs with a great singer that very good things can happen. Don’s been gone for over a decade so it’s nice to see someone keep his songs in front of the American public. I am mystified that the tracks on this album went unreleased on an album for so long. During the mid 1980s Ray Price and Snuff Garrett collaborated on a number of successful singles (some of which were used in movie soundtracks) plus some other songs. True, producer Snuff Garrett fell ill somewhere along the line and retired, but Garrett was a big name producer and you would think these would have escaped somehow. This CD features seven chart singles that were never collected on an album, and seven other songs that were never released on an album. Sixteen tracks from one of the masters most featuring more steel guitar than was common for Ray during this period . This album has some flaws including what sounds like auto-tune on some tracks and the standard issue of the album doesn’t warrant a top twenty listing since it has only twenty songs on it. The Deluxe Edition, however, plants you into the middle of a George Strait concert – twenty-eight songs on the two CD set plus the entire 40 song set on the concert DVD with some bonus features. George never did tour extensively and when he hit town, the tickets were expensive and sold out quickly so I never did get to see him live in concert. This set is the next best thing. While the studio recordings are better, this is still worth having. This album is a little hard to characterize – it’s not exactly bluegrass, folk, jazz or classical music, but it is all of them and more on the ten featured tunes, all of them co-writes. Meyer plays piano on a few tunes but mostly plays bass. Thile shines on the mandolin. The listener exults in the magic. True, Sammy is a distant cousin to Cajun pioneers Rusty and Doug Kershaw, but Sammy’s musical muses were Mel Street and George Jones. Here Sammy pays tribute to George Jones and does it well. My favorite among the dozen Jones hits (plus two new songs) covered is “When The Grass Grows Over Me”. Joe Mullins has been around the bluegrass scene for a while, but this album was the first of his albums I happened to pick up. It’s very good and I’ll be picking up more of his albums when I hit the bluegrass festival in Palatka, Florida on February 20. Half country/half grass but 100% excellent. I wish that Rhonda would do an entire album of western swing and honky-tonk classics. It was silly to split this up into two six song discs, but I guess that the ears of the bluegrass purists needed protection from the country classics. My favorite track is “When The Grass Grows Over Me” which was also my favorite George Jones song. Rhonda’s takes on “Once A Day” and “Bright Lights and Country Music” are also highlights. It is good to see new music from Lee Ann. I don’t regard this as highly as I did her first few albums, but it is a welcome return to form. Death, taxes and a new Willie Nelson album are the only things you can really count on seeing every year. This one is up to the usual standards, with Willie having written nine of the fourteen songs on the album. I actually liked their debut album better, but this one will appeal more to younger listeners. At this rate they won’t be a secret much longer. Buy it at Cracker Barrel as their version has two extra songs. A lot has been written about this album, but the truth is that words really don’t adequately describe it. This album requires repeated listening. I like this album, but I keep expecting more of DIerks Bentley. “Drunk On A Plane” and “I Hold On” were the big radio/ video singles but I don’t think they were the best songs on the album. In some ways the Cornell Hurd Band is like Asleep At The Wheel, a very versatile band that can handle anything. Both are terrific swing bands but AATW leans more to the jazzy side while the CHB is more honky-tonk and more prone to novelty lyrics. All of their albums are filled with many and varied treasures. The New York born and LA based sisters, Petra, Tanya and Rachel Haden, daughters of a jazz musician, have been around for years, mainly performing cameos on rock albums. But taking center stage for the first time, their debut album produced by Ry Cooder, showcases their sibling harmonies on the old-time country and folk material they heard from relatives in their childhood. Their grandparents were among the earliest Opry performers and were friends and rivals of the Carter Family, with their own radio show based on the family farm in Missouri. The triplets open with the enchantingly pretty version of the Webb Pierce country classic ‘Slowly’, performed with delicate harmonies. This outstanding track is wonderful, and my favourite track here. The women’s high sweet harmonies are suitably angelic on Bill Monroe’s gospel waltz ‘Voice From On High’, which is a highlight. Monroe’s graveyard-set ‘Memories Of Mother And Dad’ is less remarkable, but still solid. Their winsome versions of the Louvins’ ‘My Baby’s Gone’ and ‘When I Stop Dreaming’ are both gorgeous, and perfectly suited to the trio. Their lesser-known tragic tale ‘Tiny Broken Heart’ is another charming track. The Stanley Brothers’ mournful ‘Lonesome Night’ is delivered at a slow and stately pace, with particularly beautiful guitar work from Cooder, whose work is tasteful and exemplary throughout. They don’t change the lyric, which is written from a male perspective, which makes the interpretation sound like a ghostly one. The playful ‘Billy Bee’ is performed almost acappella with very faint strains of music very low in the mix. One of the few disappointments is country standard ‘Making Believe’, a beautiful song but here the vocals are a little too self-consciously pretty and not emotional enough. I just didn’t believe it. Finally, the most modern song, Nick Lowe’s ‘Raining Raining’ is just okay, with an ethereal lead vocal from Tanya, but it does feel out of place. 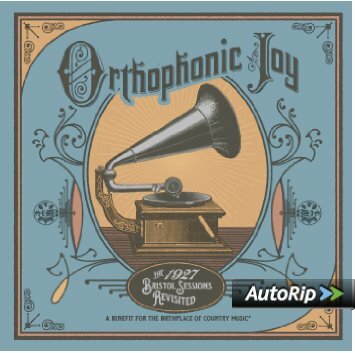 Overall, though, this is a delightful album for lovers of the oldest recorded country music. Pennsylvania-born Irene Kelley is one of the finest songwriters around. A decade on from her excellent Thunderbird album she is back on record in her own right. She wrote all the songs with a variety of collaborators, and all have pretty melodies which showcase her pure, beautiful voice. Produced by Mark Fain, the music is in that overlap between acoustic country and bluegrass, and is beautifully played. ‘Pennsylvania Coal’ (written with Thomm Jutz) is an atmospheric story of the Pennsylvania coal country where Kelley’s immigrant grandfather was a miner, and later a farmer. Its honesty and emotional insight rivals some of the great coalmining songs from Kentucky and West Virginia. Family is an important theme running through the album, with Irene’s daughters Justyna and Sara Jean contributing both with harmonies and songwriting. The record even closes with a bonus track, ‘You Are Mine, on which Kelley’s daughter Sara Jean sings the lead over her mother and sister’s trio harmony. Written by the three of them, it has a charming old fashioned feel. The delightful ‘My Flower’ uses the traditional ‘You Are My Flower’ (which Irene sang as a lullaby for her children as babies) as its theme. It was written with Irene’s daughter Justyna, who also sings harmonies alongside Claire Lynch. Irene then segues into a few lines of the original song, accompanied by herself on autoharp, which is charming. Lynch also sings background on ‘Angels Around Her’, about Irene’s relationship with her late mother, using her collection of angel-themed ornaments as the focus of the song. Dale Ann Bradley sings harmony on the brooding ‘Sister’s Heart’, a heartfelt tribute to Irene’s beloved sister, which she wrote with Jon Weisberger. Bradley is also present on the idealistic ‘Garden Of Dreams’, inspired by Kelley’s daughters, which is a beautiful and poetic ballad. Trisha Yearwood sings harmony on the graceful waltz ‘Better With Time’, a mature love song (written with Peter Cooper and Justyna) about the way love matures and grows, with a delicate stripped down arrangement. Another outstanding song, ‘Breakin’ Even’ (written with Mark Irwin) takes a bleakly moving look at the pain of a breakup. ‘Things We Never Did’ is full of tender regret at lost chances, with its wistful look at what was “nearly a dream come true”. Carl Jackson’s harmony and Jeff Taylor’s tasteful accordion add the perfect finishing touches to the arrangement. Rhonda Vincent sings a close harmony on the quirky upbeat ‘Rattlesnake Rattler’, in which part of a dead snake is incorporated into a guitar. This is a lovely sounding record, and one filled with moving songs, beautifully sung. Bluegrass and Modern Country Music – kissin’ cousins or estranged relations ? Although they claim common ancestry (Ernest Tubb, Gene Autry and Bill Monroe were all hugely influenced by Jimmie Rodgers, and many others were influenced by the Original Carter Family), it has been many years since modern country and bluegrass music split off in different directions from their acoustic string band origins. Up until the end of the 1960s you could hear bluegrass played by some country radio stations (most frequently by smaller stations located in more rural areas), and artists such as Jimmie Skinner, the Willis Brothers, Lee Moore, Grandpa Jones and Frank “Hylo” Brown straddled the two genres. Mainstream artists such as Skeeter Davis, Carl Smith, Porter Wagoner and the duo of George Jones & Melba Montgomery would record albums of bluegrass songs. By the end of the 1960s, however, bluegrass was nearly extinct on country radio. True, there were a few songs, usually associated with movies (“Foggy Mountain Breakdown,” “Dueling Banjos”) or television shows (“The Ballad of Jed Clampett”), which achieved some airplay, but those were few and far between. Today bluegrass is largely banished from country radio. Yes, various performers such as Keith Urban or Rascal Flatts will gratuitously drop a banjo or a mandolin into their songs, but their music isn’t bluegrass. Yes, artists such as Alison Krauss or Rhonda Vincent will occasionally grace a Nashville artist’s album as a duet partner for a song or two, but those songs really aren’t bluegrass either. And yes, the soundtrack to Oh Brother, Where Art Thou, sold millions of copies – but how often did your local country station play any of the songs from the soundtrack? The last bluegrass act regularly to receive country radio airplay was the duo of banjo player Roland “Sonny” Osborne (born 10/29/37) and his mandolin-playing brother, Bobby Osborne (born 12/9/1931). Sonny and Bobby were born in Hyden, Kentucky, but when Sonny was very young, the family moved near Dayton, Ohio where they had their first experiences as performers. As children, their father instilled a love for traditional music. Bobby picked up the electric guitar as a teenager and played in various local bands. A few years after his brother began playing the guitar, Sonny picked up the banjo. Both were greatly influenced by the likes of Ernest Tubb, Roy Acuff, Alton & Rabon Delmore and Bill Monroe. In 1950, 13 year old Sonny joined his brother in the Lonesome Pine Fiddlers. Following his tenure with the Lonesome Pine Fiddlers, Bobby joined forces with Jimmy Martin to form a band called the ‘Sunny Mountain Boys’. Following the breakup with Martin, Bobby briefly joined the Stanley Brothers, singing high baritone above Carter’s lead and Ralph’s tenor. Unfortunately, before this trio was able to record, Bobby was drafted into the military in November of 1951. During Bobby’s military service Sonny continued his musical career. During the summers of 1952 and 1953, Sonny played banjo for Bill Monroe. Also, Sonny recorded a number of singles for small record labels such as Kentucky and Gateway. I do not know how many sides were released by Gateway, but I am aware of at least forty-two songs being recorded, featuring Sonny on banjo and vocals, Carlos Brock on guitar and vocals, Billy Thomas on fiddle, Smokey Ward on bass and Enos Johnson on mandolin and vocals. In late 1953, Bobby & Sonny teamed up with Jimmy Martin and performed on a local Detroit radio station billed as “Jimmy Martin and The Osborne Brothers.” Bobby & Sonny lasted two years with the mercurial Martin, during which time they recorded a few singles for RCA. They left in 1956 to work with Charlie Bailey on the WWVA Big Jamboree in Wheeling, West Virginia, where they would stay for four years. A few months later they joined forces with lead singer Harley “Red” Allen and formed their own band–thereafter becoming known as the Osborne Brothers. Shortly after joining forces with Red Allen, The Osborne Brothers signed a deal with MGM records. Their fifth single for MGM, “Once More,” reached #13 in 1958. While no more singles charted nationally for MGM (many of their records were regional hits), the Osborne Brothers continued to record, refining their sound. Red Allen left the group after the first album, but Sonny & Bobby soldiered onward, with other outstanding vocalists such as Benny Birchfield helping complete the harmony trios. They would record three more albums for MGM before leaving for Decca in late 1963. Many of these albums included songs that would later become hits when re-recorded for Decca. The Decca years found Sonny and Bobby experimenting with the instrumentation of their music. They experimented slowly at first, using an electric bass, then added additional instruments such as steel guitar and piano, and Sonny’s own creation, the electric six-string banjo. The hybrid country bluegrass sound proved quite popular with fans and disc jockeys alike. They were soon booked on the major country package shows of the day. With their voices being featured on their own major label recordings and on others from Conway Twitty to Bill Monroe, their name became synonymous with harmony singing. From 1966 to 1976, the Osborne Brothers would chart 16 times. While none of these songs were huge national hits, the records sold well and were mostly huge hits in the Southeast and Mid-Atlantic areas. Several of their songs such as “Ruby (Are You Mad),” “Roll Muddy River,” “Son of A Sawmill Man” and “Rocky Top” became bluegrass standards, with the latter even being designated as an official Tennessee State song. The Osborne Brothers were inducted as members of the Grand Ole Opry in 1964. They were voted as the CMA’s “Vocal Group of the Year” in 1971, and received nominations in the category in 1970, 1974 and 1975. From 1971-1978 they were honored by Music City News as the nation’s top bluegrass group. Along the way, they became one of the first major bluegrass groups to appear extensively at bluegrass festivals. The eighteenth (and last) charted single for Sonny & Bobby was “I Can Hear Kentucky Calling Me” in early 1980, which peaked at #75. By 1980, the chasm between the sound of bluegrass and modern country music had grown too deep for bluegrass to get any airplay on country radio. Ricky Skaggs would have considerable success on country radio during the years just ahead, but the records that charted well for Skaggs were far less grassy than the hybrids that the Osborne Brothers had been charting in the 1960s and 1970s. Following their departure from Decca/MCA in 1975, The Osborne Brothers signed with Country Music Heritage (CMH) records and gradually reverted to traditional bluegrass instrumentation and have stayed there ever since. The Osborne Brothers were inducted into the International Bluegrass Music’s Hall of Honor (the genre’s equivalent to the Country Music Hall of Fame) in 1994 and were elected to the Kentucky Music Hall of Fame in 2002. He Osborne Brothers continued to perform until Sonny Osborne retired from performing in 2005 after a shoulder operation affected his ability to play the banjo. Bobby Osborne continues to perform to this day, with Rocky Top X-Press, the band he formed after Sonny’s retirement. At 79 years of age, Bobby still tours – his busy schedule can be checked out on his website www.bobbyosborne.com . The Osborne Brothers were pioneers in being among the first bluegrass groups (possibly the first bluegrass group) to include modern country instruments such as drums, electric bass, electric guitar, electric banjo, guitjo (a banjo neck on a guitar body) and steel guitar into bluegrass music. Many other acts would follow suit, even traditionally oriented groups such as Jim & Jesse McReynolds. Perhaps of greater importance was the vocal trio style created by the Osborne Brothers in conjunction with Red Allen, sometimes dubbed as “inverted stacked harmony”. This sound, unique and electrifying, featured Bobby singing a high lead line, Sonny singing baritone, and finally Red Allen singing the tenor as the lowest part. Although Red left after the first MGM album, subsequent vocalist such as Benny Birchfield , Dale Sledd and others kept the excitement going, setting a pattern many other groups,both bluegrass and modern country tried to duplicate, although few with such panache. The Osborne Brothers recorded four albums for MGM and 14 albums for Decca/MCA during the vinyl era. All of these records are worthwhile. If you found all 18 of the albums and played them chronologically you would hear a detailed history of the evolution of bluegrass music as the Osborne Brothers occasionally strayed into “newgrass” before the term was invented. The Decca/MCA albums are especially interesting as the Osborne Brothers covered many classic country songs as well as contemporary country material. Unfortunately, little of the classic MGM and Decca/MCA material is available on CD, except for on two terrific (and quite expensive) boxed sets issued by Bear Family which contain all of the MGM and Decca/MCA material. 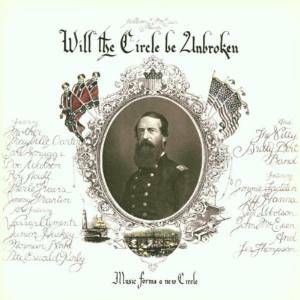 Leaving MCA/Decca after 1975, the Osborne Brothers joined the tradition-oriented Country Music Heritage (CMH) label, issuing at least ten albums for CMH, including a wonderful double album with Mac Wiseman. The CMH albums straddle the vinyl, cassette and CD eras, so you may find those albums in any or all of those formats. Four albums were issued on Sugar Hill and five on Pinecastle. The Pinecastle albums all were issued on CD, however, only Once More, Volumes 1 & 2 were released on CD by Sugar Hill. The Ernest Tubb Record Shop currently has available both of the Bear Family Box Sets at $99.98 each. If you are a diehard fan, it’s definitely worth the money to buy these, but for the casual fan, they are overkill. It is possible (sometimes) to find these sets for less money on sites such as www.overstock.com and www.countysales.com . Also you may be able to find used sets on sites such as www.musicstack.com . The only other CD available covering the Decca/MCA years is titled Country Bluegrass. It sells for $9.98 and has ten of their chart hits including “Rocky Top,” “Roll Muddy River” and “Ruby (Are You Mad).” It’s inadequate, but essential. ET has eleven more titles available, all of which come from post-1975. They do have the terrific Essential Bluegrass Album (with Mac Wiseman) which was a double album with 24 songs. ET also has available six solo albums that Bobby Osborne has issued plus an album with Jesse McReynolds titled Masters of The Mandolin. I have several of Bobby’s solo albums – they are good but something was definitely lost from the vocal blend when Sonny retired. Moreover, Bobby has lost some of his upper range over the years, especially on the more recent albums and when he performs some of the old Osborne Brothers classics, he has had to do them in lower keys. This point was brought home by Bobby’s performance on the Opry in July 2011, where Bobby has clearly changed the chord progression on the chorus of “Rocky Top” to make it easier to sing. Currently www.bobbyosborne.com has six of Bobby’s solo albums available for sale as well as ten Osborne Brothers CDs and two DVDs of the Osborne Brothers in concert. While he’s not exactly forgotten, it’s been twenty-five years since Charley Pride received much airplay on country radio – which seems unbelievable considering the dominant force he was on the charts. For the ’70s, Billboard has Charley listed as its third ranking singles artist behind only Conway Twitty and Merle Haggard. Pride also shows up as fourth on the Billboard Country Album chart for the same decade, while Cashbox has him as its number one artist for the period of 1958-1982. Younger listeners who have not previously heard Pride will have a real treat coming when they sample his music from the ’60s and ’70s. He has a very distinctive voice; one not easily forgotten once it’s been heard. Originally planning on a career in Major League Baseball, Pride grew up in the cotton fields near Sledge, Mississippi, where he listened to the Grand Ole Opry on Saturday nights. For whatever reason, Pride’s taste in music leaned towards country – perhaps he sensed (correctly) that his voice fit the genre perfectly. While pitching in semi-pro baseball in Montana, Pride was “discovered” by Red Sovine, who urged him to try his luck in Nashville. Pride did just that after his hopes of a career in baseball were gone, and soon thereafter he came to the attention of legendary producer Jack Clement. Clement did everything within his power to get Pride recorded and on a label, going so far as to self-producing the singer’s early recording sessions and shopping the masters. Clement even eventually persuaded Chet Atkins to add Pride to RCA. Racial relations have come a long way since Pride emerged as country music’s top star and its first African-American superstar. The situation in America was so tense in 1965 that RCA issued his first few singles without the customary picture sleeves and promotional information, hoping to get country audiences hooked before they realized his race. To get the disk jockeys to play the records, they made them as hard-core country as was possible for the time, and listed the label’s four big name producers (Chet Atkins, Jack Clement, Bob Ferguson and Felton Jarvis) as the co-producers on the singles. DJs of the ’60s might not have known who Charley Pride was, but Atkins, Clement, Ferguson and Jarvis were known to all within the industry, so the records were destined to get at least some airplay. Eventually country audiences tumbled onto Charley’s “permanent suntan” (as he put it), but it was too late. They simply loved his singing and would demonstrate this love by purchasing millions of his albums over the next 30 years, pushing four albums to gold status, a rarity for country albums with no cross-over appeal. “Busted” — a 1963 hit for Johnny Cash & the Carter Family, and later a successful single for Ray Charles and John Conlee. It was written by the Dean of country songsmiths, Harlan Howard. “Distant Drums” — this Cindy Walker-penned song was a posthumous #1 for Jim Reeves in early 1966–the first of several such songs for Reeves. “Detroit City” was a 1963 hit for Bobby Bare. Earlier in 1963, Billy Grammer had a hit with the song, recording it under the title “I Want To Go Home.” Mel Tillis and Danny Dill wrote this classic song. “Yonder Comes A Sucker” — Jim Reeves took this self-penned song to #4 in 1955. “Green Green Grass of Home” — Johnny Darrell and Porter Wagoner hit with this Curly Putman classic in 1965, Porter scoring the much bigger hit of the pair. “That’s The Chance I’ll Have To Take” — label mate Waylon Jennings had a minor hit with this in 1965. “Before I Met You” — charted at #6 for Carl Smith in 1956. Smith’s star had faded by 1966, but he had been one of the biggest stars in the genre during the 1950s. This was Charley’s second single, issued in mid-1966. It would be the last non-charting single for Charley Pride for the next 28 years. “Folsom Prison Blues” — this was not as obvious a trendy pick as you might think. Johnny Cash took this song to #4 in 1956 – the #1 hit version and album were still 18 months away at the time this album was issued. “The Snakes Crawl At Night” was Pride’s first single, and while it did not chart nationally, it got significant regional airplay in the south and southwest. It was, in fact, the song that introduced me to Charley Pride. “The Atlantic Coastal Line” — this was the “B” side of “The Snakes Crawl At Night” but it got some radio airplay. Mel Tillis wrote this song. “Got Leavin’ On Her Mind” — Jack Clement wrote this song, which was never a big hit, although Mac Wiseman had a terrific record on the song in 1968, and many others recorded it as well. Normally, the strategy of introducing an artist to the public through an album entirely composed of oldies does not succeed. This time, however, the “country classics” strategy worked to perfection in priming the demand for more. Subsequent Charley Pride albums would feature newer songs and more of Pride’s own hits – lots of hits. Before long, all of Nashville’s leading writers were pitching their best material to him, with Dallas Frazier being his early favorite. So successful was Pride that an incredible string of 35 consecutive songs reached #1 on the Billboard and/or Cashbox Country Charts. Starting with 1969′s “Kaw-Liga” and ending with 1980′s “You Almost Slipped My Mind”, every Charley Pride single (except the 1972 two-sided gospel record “Let Me Live”/”Did You Think To Pray” and the 1979 “Dallas Cowboys” NFL special souvenir edition) reached #1. After the streak ended, Charley would have another 6 songs that were #1 on either Billboard and/or Cashbox. “Kiss An Angel Good Morning” released in 1971, would, of course become his signature song. In addition to the above milestones, Charley Pride recorded a live album in 1968 at Panther Hall in Dallas, simply one of the best live albums ever. During his career, RCA issued three best of Charley Pride albums and two Greatest Hits albums with absolutely no overlap between the albums; moreover, several major hits were left off completely. He won the CMA Entertainer of the Year award, induction into the Country Music Hall of Fame, the ACM’s Pioneer Award (a fitting award, if ever there was one), and several Grammy awards. Global sales reportedly brought 30 of his albums up to gold status. During the CD era, Pride was very poorly served, at least until recently. At one point in the mid-1990s, he re-recorded 25 of his classic songs for Honest Entertainment, using the original arrangements, producer Jack Clement, and as many of the original musicians as he could find. For several years these re-makes were the only versions available, as RCA neglected its back catalog of anyone not named Elvis Presley. Charley Pride continues to perform and record. While his voice has lost some tonal quality over the years, he still sings very well indeed. His success did not herald a phalanx of African-American singers into county music. Perhaps, that was an unrealistic expectation, since voices as good as that of Charley Pride rarely come around. Charley’s peak period coincides with the period in which the biggest stars issued three or four albums per year. From 1966-1979 RCA released 31 albums – 28 regular albums plus 3 ‘Best of’ collections. Generally the albums from before 1972 are the best, although all of them are worthwhile. After Pride hit the big time the albums became more formulaic and contained more filler, but the hit singles remained top-notch. From 1980 to 1986 RCA issued 11 albums including two Greatest Hitscollections. A switch to 16th Avenue saw three more albums released before the end of the vinyl era. After leaving RCA at the end of 1986, Charley recorded for 16th Avenue Records where he charted eight singles through 1989 when the label folded. His albums on 16th Avenue were released on vinyl and audio cassette. His two biggest hits for 16th Avenue were “Shouldn’t It Be Easier Than This” (1988 – #5) and “I’m Gonna Love Her On The Radio” (1988 – #13) and he released three albums while on 16th Avenue in After All This Time, I’m Gonna Love Her On The Radio and Moody Woman. • The Essential Charley Pride – BMG 2006 – this two CD set replaced the prior entry and contains forty of Charley’s hits. An excellent set and an excellent value. • Charley Pride’s Country – Readers Digest 1996 — for years this was best available American collection. Containing 72 songs, 20 or so hits plus some good album cuts and cover versions. • The Legendary Charley Pride — BMG Australia 2003 — 50 songs, 40 hits plus a few other songs. Now out of print, this collection still is as good as any hits collection . • 36 All Time Greatest Hits — RCA Special Products 193 — 36 songs — about 50-50 hits and other songs. Several of Charley Pride’s other RCA albums have been available on CD over the years including Greatest Hits, Greatest Hits V2 (both truncated versions of the vinyl albums), There’s A Little Bit of Hank In Me (his Hank Williams tribute) and Charley Pride In Person at Panther Hall . The 16th Avenue recording have been available on CD under a variety of names and for a variety of labels. The Curb CD The Best of Charley Pride is mostly 16th Avenue Recordings. As noted above, so little of his music was available during the 1990s, that Charley re-recorded twenty-five of his biggest hits for Honest Entertainment. He also recorded some newer material, along with some other songs. These recordings have been licensed to a variety of labels including the Gusto, King, Tee Vee family of companies. These aren’t bad recordings but the originals are better. A Tribute To Jim Reeves (2001) – Charley recorded many Jim Reeves songs during his early peak years, so this album of all Jim Reeves songs was a natural for him to record. Charley does right by Jim’s memory. The Comfort of Her Wings (2003) – new material – a pretty good album, although it produced no hits. Choices (2011) – more new material, given a good run by one of the most distinctive voices in the business.